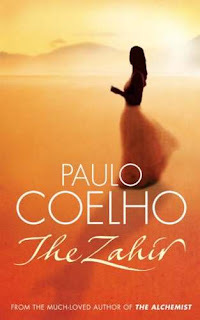 Going ahead with the Paulo Coelho's "The Zahir", i would loke to share a few of the gems. One of the profound learnings was this. The author says that if people learn about 3 things, they can persist in any situations, however difficult it may be. First, When ever a person decides to confront a difficult situation , he learns that he has much more capabilities to face the situation than he thought he had. Secondly, there is atleast someone in this world who is undergoing similar suffering as your's. Hence you are not the only one who is troubled but you can take peace from the fact that there are many people aboard the same boat. Thirdly, If a person decides to spread love around himself, inspite of any kind of situations , the providence has no choice but to give back the same love to you. So do unto others what you want to be done to yourself. please don't tell me u liked the book.. I went through his preaching and I really can't appreciate it!! The ending of this story was the final blow!! @Lavanya : I wonder what you didnt like, though i would agree that the ending was a bit kick in the face ! !